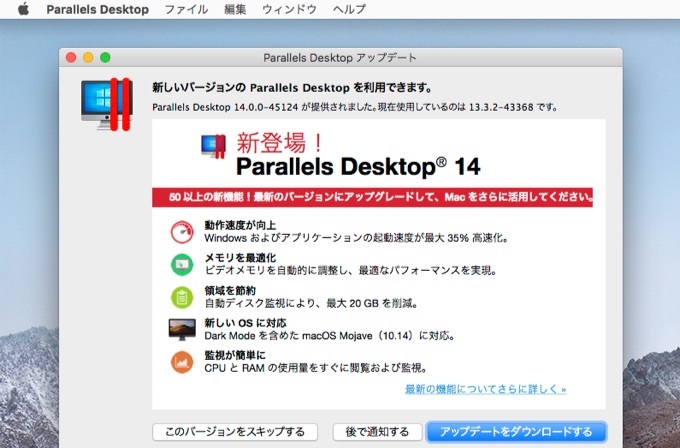 Parallels、macOS 10.14 Mojaveに対応し50以上の新機能を搭載したMac用仮想化ソフトウェア「Parallels Desktop v14」をリリース。 | AAPL Ch. 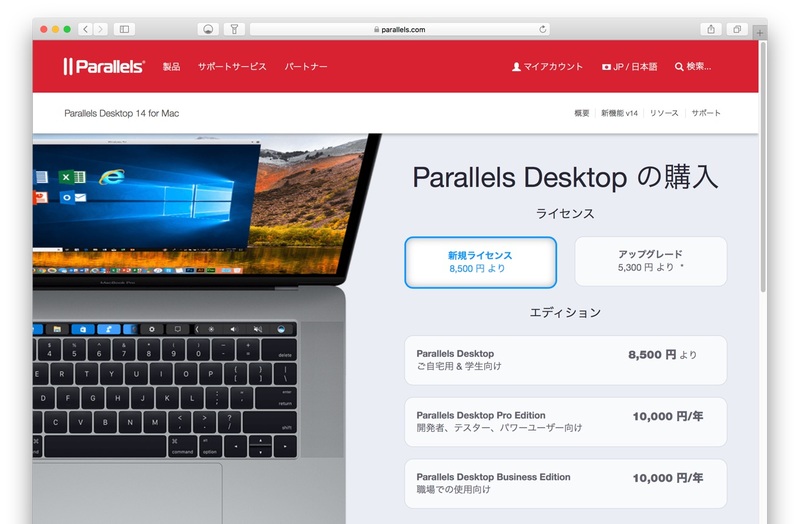 Parallels Desktop® 14 for Mac is finally here! Version 14 has over 50 new features, including performance improvements, graphics improvements, and support for new technologies. Plus, it saves up to 20 GB of virtual machine storage space, starts four times faster, and is ready for macOS® Mojave. 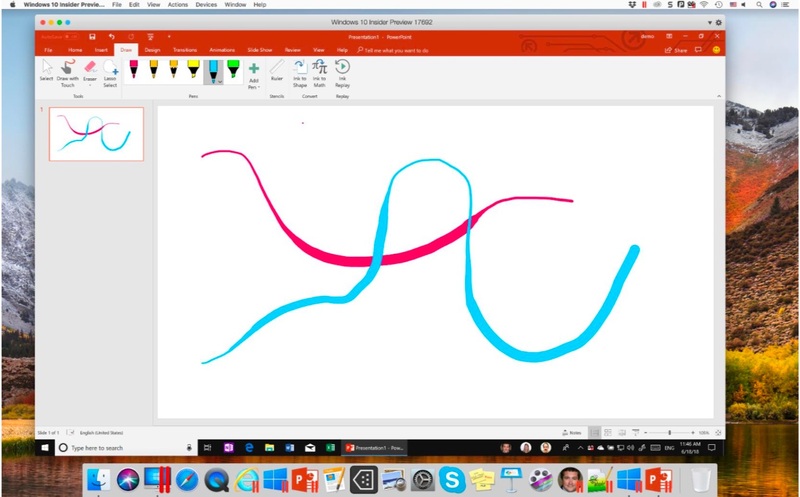 Just released – What’s New in Parallels Desktop 14 for Mac!